Fish, food, Paris, je t'adore!, Vive la France! If there’s one thing destined to fill me with frissons of gastronomic excitement, it’s the way the French present their food. It doesn’t seem to matter if it’s in a market or a supermarket or a bakery window, the presentation of food is creative and often so decorative that you might think twice about ruining the artistry by eating it. 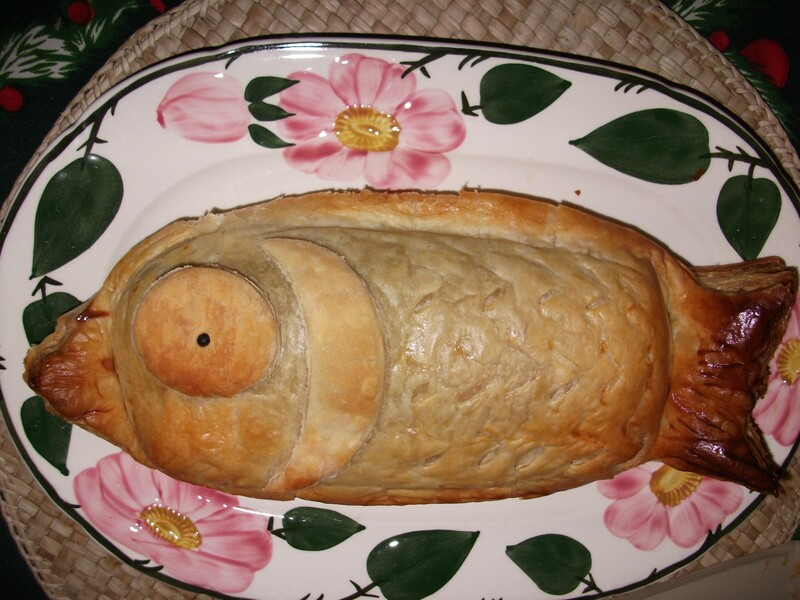 Both versions taste great, but the pastry fish wins it in the presentation stakes for me. So on this occasion the score is France 1 – England 0. Salmon should never be served inside pastry: it’s just not right. It looks good though, but it’s just not right … although it looks pretty good … and I want to try it … but no! … but I’ll hold firm until I find one and have to submit.